Welcome to Gonzales, Louisiana, conveniently located between the capital city of Baton Rouge and the fun and originality of New Orleans. Gonzales is known as the “Jambalaya Capital of the World,” it is famous for its annual Jambalaya Festival, which was first held in 1968. Stephen “Steve” F. Juneau came up with the idea for the Jambalaya Festival and served as the first president of the Jambalaya Festival Association. Our area is home to some of the South’s most interesting and beautiful tourist attractions, many steeped in our rich history. There are no fewer than a dozen antebellum homes within a short drive, numerous restaurants all featuring original cuisine and boutique shops along with an outlet mall. The City of Gonzales is here to serve you, whether resident or visitor, so call us for any queries you may have. 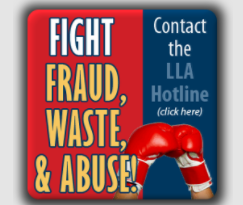 To find out more on fighting fraud, waste and abuse, click here.